Transporting a car can be expensive if not taking the right considerations before choosing the right company. Price tags are affected by different factors such as distance, gas, seasons, and the make and model of your car. It is also affected on which type of carrier you need and if the car is running or not. Unfortunately, the United States is comprised by long driving distances to get from one place to the other. Public transportation many times is not very reliable on time when you have a schedule, and it can take a long time to get from place to another. Therefore people have chosen to invest in a car. It is fast, convenient, and depending on the model, cheap and low maintenance. However, many times these cheap low maintenance cars can’t be found in a place near you, therefore you must transport your car from place to another. Here is where car transport comes in play. The price is Right. 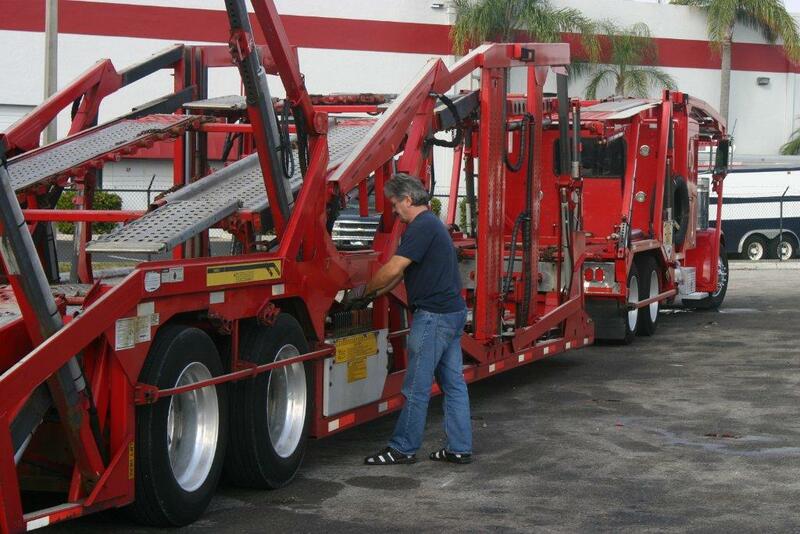 Car transport is a fast growing business due to the high demand of cars in the past years. Many drivers can be booked for a certain amount of time to deliver cars from manufacturers to dealers, from ports to owners, and so on. This causes them to have very little availability to take cars from private owners. Sometimes they will have space for 1 or 2 private cars, however if prices are not appealing enough for drivers, they will not even bother to make an extra stop to take your car. Therefore one of price tags biggest factor is to make quotes attractive to drivers in order to have your car picked up promptly and securely. The higher the price, the better chances you have of a driver making room for your car and picking up right away. When price is not quoted correctly and it is too low, you run a high risk of getting stuck and find no driver to provide service, especially during high season, another important factor. Season, Correct Price Tags and availability. These are factors that go hand in hand. Season determines the availability of each driver, however, price tags will also affect on the availability, and therefore attractive quotes will open up availability during high season. Nevertheless, this may not always be the case, as some drivers have exclusive contracts with certain entities to carry their cars from place to place for a certain time, such as dealers, manufactures, and government entities. In this case, no matter how attractive your price is, they simply will not do it. This is one part, then we have the weather condition, which also affects on drivers availability and price tags. High season is usually during fall and winter stations, during this period, haulers are over booked and their demand is higher than what they can supply. Due to the harsh winter conditions, drivers risk more while on the road and in return ask for better compensation from customers. Also during this time, trucks tend to have more mechanical issues due the cold weather, and require constant maintenance to keep them going. Weather conditions will also affect the availability of a driver, as harsh weather conditions will delay their schedules and have late pickups or deliveries, taking up more time; they have less time to serve other demanding customers. Distance. Another important factor that affects your price is the distance, the longer the distance, the higher the price. Extended driving distances cost more gas, more mileage and more risk of inconveniences on the route. With the different inflations on gas prices in the past years, drivers must compensate with high prices to cover for their expenses along the road. Make and Model. The make and model of a car usually resembles the personality of its owner or how the person would like to be seen in front of other people; a big car shows strength and power, such as a pickup truck, a sports car represents youth and a fast life style, a luxurious car however, represents luxury, power and style. As each model represents different things, they also need different cares when it comes to transporting them from one place to the other. Small, low clearance cars such as sports cars and luxury cars must be taken in enclosed carriers, as they are better protected and ensure a safe ride as opposed to open containers where they are exposed to weather conditions and other mishaps that may occur on the way. Midsize sedans and SUV’s can be taken in open containers with no problem, and be delivered safely as well. However, this is not a rule; it all depends on how you want your car to be transported. The more protection you want for your car, the higher the prices. In the end, when choosing a car carrier, do not always go for the lowest price available, first consider all factors. Make sure you check weather conditions before booking to check for any storms or inconvenient that may delay your delivery. Calculate the distance and check gas prices. Ask for all the necessary accommodations for your car, therefore depending on the make and model of your car, you will need different types of carriers in order to properly transport it. When you have checked all these factors, it may result in you not paying the lowest price, but you will ensure your timely pickup as well as proper handle of your car. Ready to transport your car? Call us and get a quote.